Hidden in the humble town of Abarkuh in Yazd, Iran, the lavish Aghazadeh Mansion is not only a beautiful Persian house, but is also home to the most extraordinary badgir (wind-catcher) in the world! 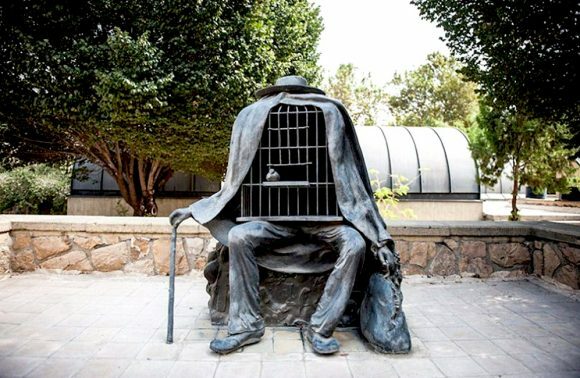 During your trip in Iran, you may have seen it depicted on many posters or pieces of art around you and not noticed. In fact, you can even check your wallet to see if it’s there! If you have a 20,000 IRR bill, from after 2015, then you’ll be able to see the façade of this mansion on it! 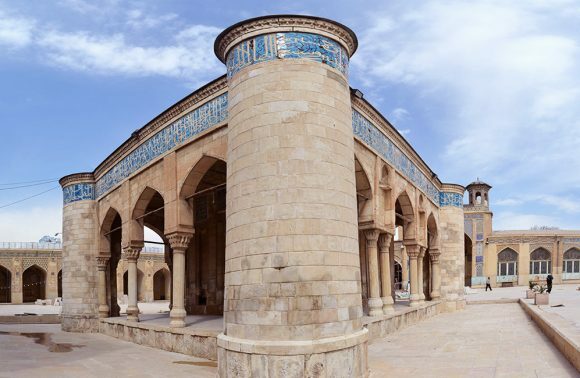 Come along with goingIRAN to see and discover more about this extraordinary example of Persian culture and architecture! 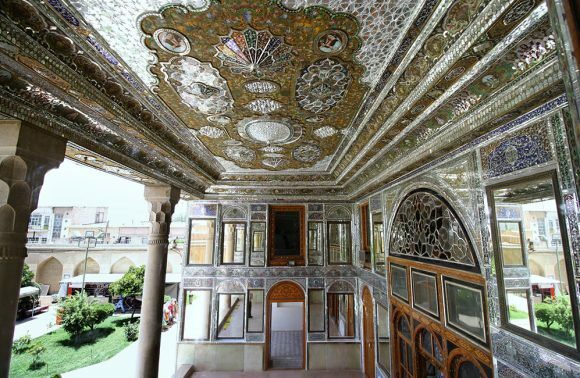 The Qajar Era mansion encompasses a whopping 820 square meters of area on the 851 meter property. In its time, it belonged to Seyed Hossein Abarghui, a well-known and wealthy lord in Abarkuh. 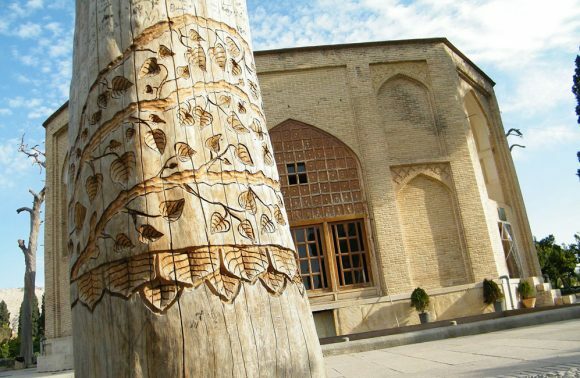 The Aghazadeh Mansion is located in a traditional neighborhood in Abarkuh, where the city plan is still the same as it was in the olden days. It’s only a 20 minute walk or five minute drive from the ancient 4,500 year old cedar tree. 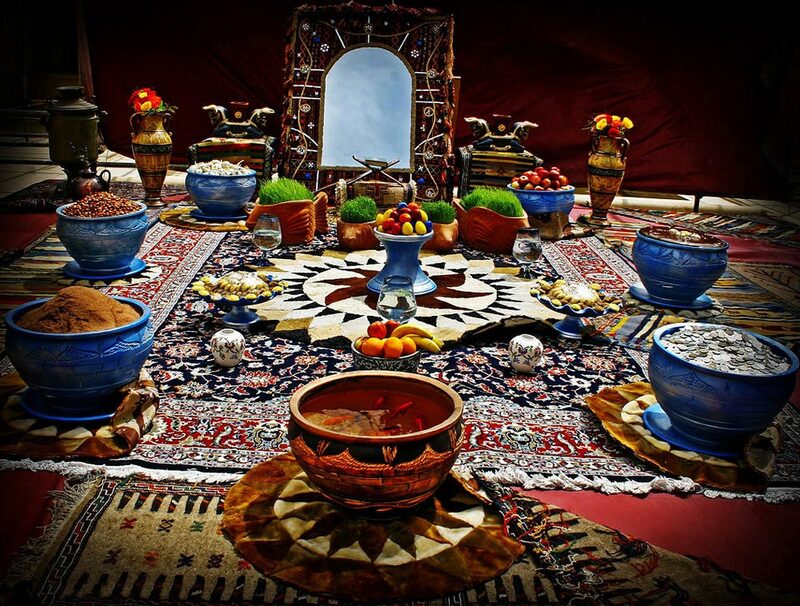 Following the Persian tradition, the lavish mansion has been established in accommodation to the seasons. 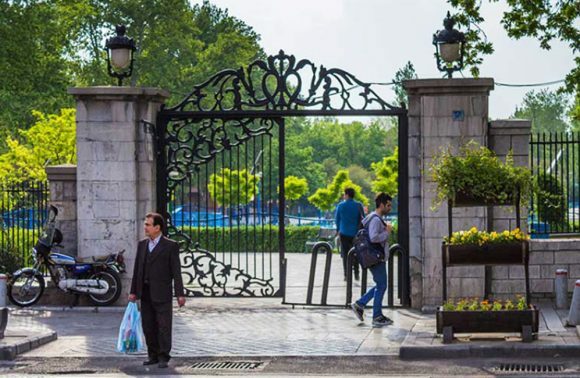 The Aghazadeh Mansion has three main areas of residence. If you enjoyed the posh Borujerdi House and Tabatabaei House, then you’re going to love this! It boasts many features of traditional Persian architecture within its structure. Delicate stuccos, central pool, brickwork, woodwork…etc. 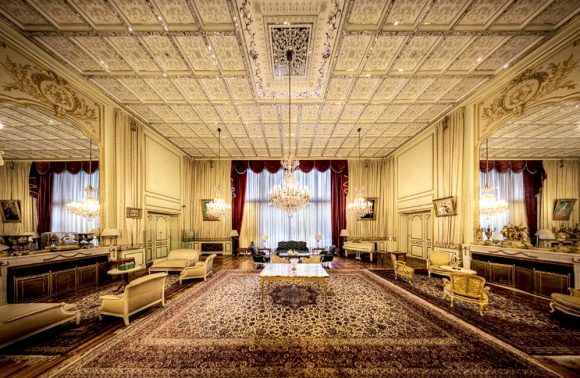 Everything you want in a Persian house, the Aghazadeh Mansion has! 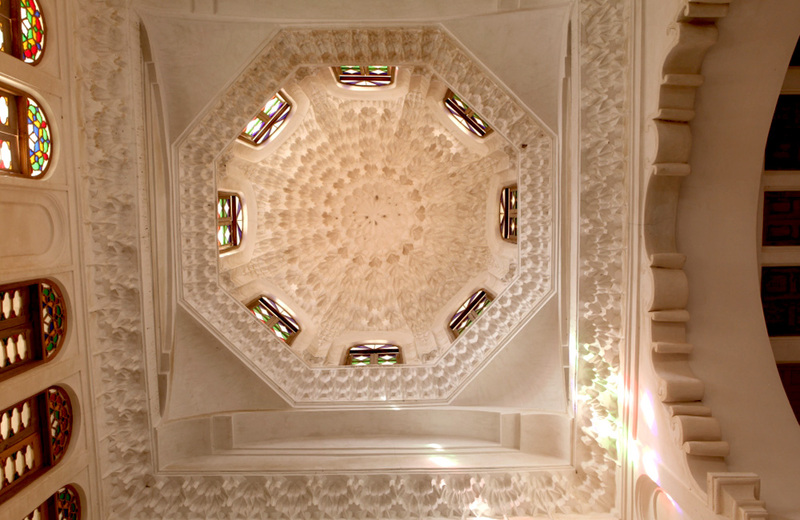 Plus, it also features a rare type of dome called Kolah Farangi. This unique and beautiful dome not only compliments the stunning aesthetics of the home and its badgir, but it is also an inlet for natural light to come into the home. Its open arcades feature wooden stained glass windows can be opened or closed to preference. 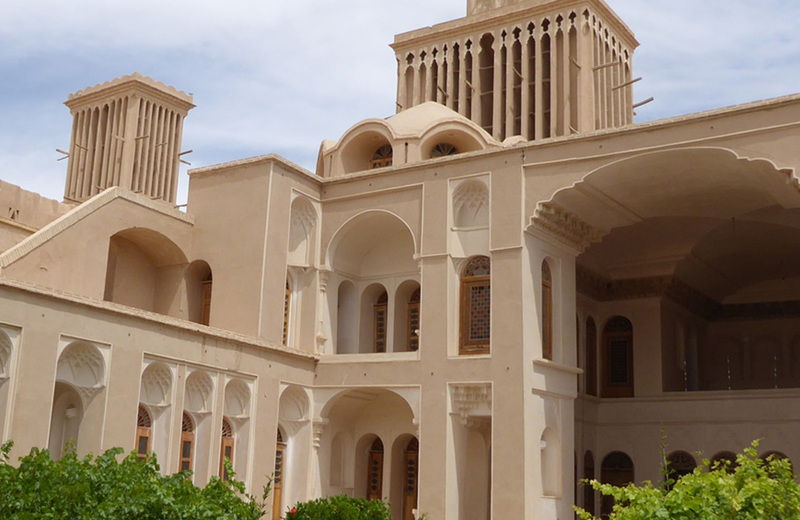 The most outstanding aspect of the Aghazadeh mansion is its extraordinary 2-story badgir (wind catcher). The one-of-a-kind wind catcher stands a gigantic 18 meters tall and takes up 18 square meters in area. The beautiful main badgir has 19 vents that work in synchronicity with the extension on the top. It said that this wind catcher is able to moderate the climate, even when there is no wind blowing. The mansion is itself is also something to speak of. The entire luxurious abode features magnificent handcrafted wooden doors and windows with stained glass. 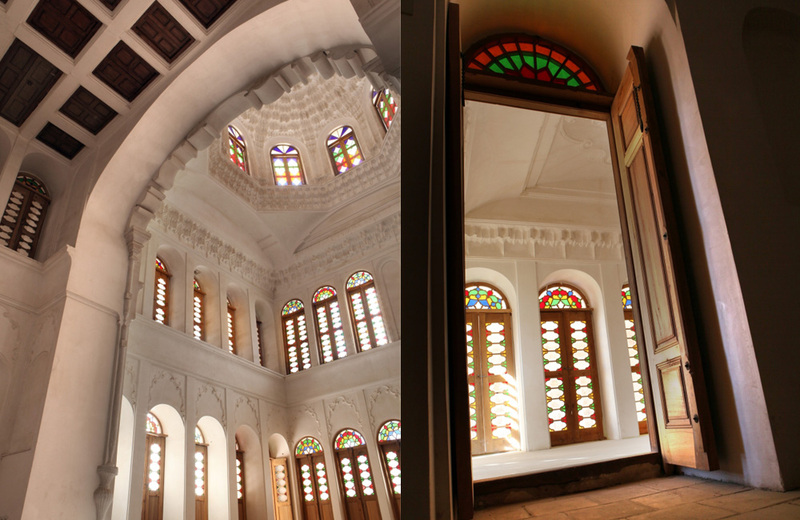 Topped by arches, no opening of the Aghazadeh Mansion has been left untouched. All along the walls of the mansion, visitors can witness beautiful examples of stucco and plasterwork, alongside the beautiful craftsmanship of the Persian architecture. The phenomenal accuracy and symmetry of the Aghazadeh Mansion graciously gives its visitors a fine sense of balance and peace. One could even say, the mansion is like listening to a piece of Chopin with your eyes!